Plenty of harness action ensues when a batch of eliminations are on the docket and top horses are battling for berths in the more lucrative finals the following week. This time around we have a giant program at Pocono, with elims for glamour-boy pacers and trotters, soph filly pacers and the four-and-up crew, featuring Captaintreacherous against older-than-four-year-olds. A few of the soph stakes are handled on our sister blog, the Hambletonian Trail. Don’t miss important coverage, click the link after you read this blog and check out the action on that page. Here come three elimination fields for the Max Hempt Memorial, each worth $25,000 and a berth in next week’s final. However, the crème de crème has skipped the trip to the Pocono Mountains after the crop went Canadian for last week’s million at Mohawk. Few North America Cup cast members take to the five-eighths oval for the “Hempt” elims, including the winner, JK Endofanera. Consider this band of glamour-boy pacers the second tier at this point in the season. None of the “Cup” crew adorns the post positions in round one. However, a Cup elim member that did not make it to the final but demands respect is here. That’s Always B Miki, who made an uncharacteristic jump in a Cup elim and was eliminated from the final. He is quite a pacer and if that break was simply a glitch he will be a major player in this, if not the public choice. “Miki” is a good exotic key with other than At Press Time, the Ron Burke trainee that may be a sound second public choice. Limelight Beach could add value in the second spot, as may Allstar Partner, both on the brink of some major stakes attention. In Hempt two, Western Vintage returns. Like Miki, this guy didn’t make the Cup final, finishing fourth in his elim after a wide trip and then losing the draw as a random choice for the Cup field to a far less talented one. Also missing from the Cup due to a poor start is the talented Doo Wop Hanover. It’s amazing to think that the Cup final’s favorite was Tellitlikeitis, who won the elim “Doo Wop” lost, considering Doo Wop seems far more talented. That loss should not eliminate Doo Wop from major contention here and when he makes the Hempt final. Doo Wop and “Vintage” still loom at JK Endofanera’s major foes in the division this season, so don’t count either of them out, especially if the wagering is skewed in this eight-horse field. All Bets Off is here and although he won the “Rooney” he is yet to prove he is better than the aforementioned pair. It’s be great, however, if he winds up making them overlays by attracting too much money. As well, Sometimes Said is back and although his Cup performance was dull, don’t toss him out in any of these contests just quite yet. When he strikes, at least the first time, he will pay a bundle. Can he do it here? Certainly, if he is fourth public choice or more. The third Hempt split is the truly third-tier bunch. Seven of them line up, six which will bow in the betting to Mcwicked, leaving us with some great prices. This is our view because Mcwicked was such a buzz horse before he won his elim and before the final field got rolling. He is Casie Coleman’s ball of speed that can burn up during any mile, as he did in the Cup final. The crowd will cover Mcwicked with bets while we look elsewhere. What happened to Stevensville after he decimated Hes Watching at Yonkers? That speed was made for Pocono, if it is isn’t heavily challenged. More interesting is Joe Holloway’s Stratos Hanover, who we want to catch as he is ignored among a field like this so as to pick up a great price. The chance may be in this mile, with a slightly tactical ride against speed that falters as the third turn approaches. Sophomore filly pacers are also a part of the cavalcade of eliminations set to contest on Saturday, June 21 at Pocono, with three elims for the James Lynch Memorial. Frosh Breeders Crown elim winner Gallie Bythe Beach appears to be the one to beat in the opening elim because she has tactical speed in a race with a lot of early speed. The other filly that possesses tactical speed here is Someislandsomwhere, who displayed her foot on “sloppy” going in the Pennsylvania Sires Stakes (PASS) at Harrah’s Philadelphia; a winning effort. She might provide greater value in this mile but Gallie Bythe Beach will be her main foe. The second elimination is also one which consists of speedy fillies, one being Southwind Silence, starting from post 9. This could create a faster pace that would also benefit tactical gals, one being Allstar Rating. She has been sharp all year but has yet to defeat a caliber of fillies of equivalent talent as these. Another strategic filly, one who will likely be ignored in the betting, is Katie Said. She has shown issues with her gait but has a victory in Grand Circuit competition (the Ladyship). While she is an outsider, she could perhaps be a key in the exotics. Capping the filly events will be a match up between two sharp gals, current division-leader Uffizi Hanover and Lismore-winner Tyra. Coming off a sweep of the Fan Hanover, “Uffizi” will be the shorter price but if, after all, the better horse. She is too sharp to go against, especially when she has no definite racing style. Underneath her, there could lay value. One contender that could provide a good exotic is Also Encouraging, who comes off of a second-place effort in the PASS. She has speed and tends to travel uncovered in pursuit of command but the ultimate goal this evening will be to make the final, something that this filly should accomplish. For a bomb, Palm Beach is also worth including. Exempting her bad draw in the Lismore final, she is a strong closer. Add on her inside draw and she could possibly provide a nice payoff underneath the one to beat. 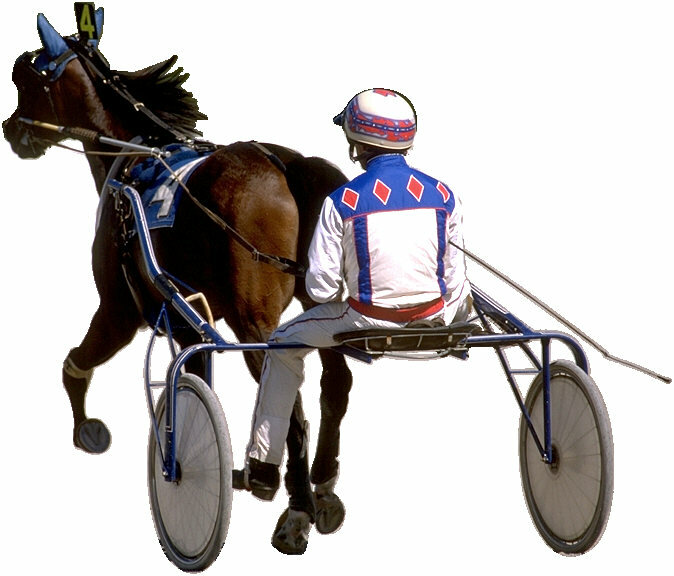 The elders of the pacing ranks will be featured in two elims for the Ben Franklin on the same night at Pocono Downs. The opening split renews a rivalry that premiered at the end of 2014 in the Free For All Championship in November at the Meadowlands: Captaintreacherous versus Foiled Again. This race seems more like Captaintreacherous versus everyone else, since the other five horses are coming into this race sharp against older than four-year-olds (“Captain” is yet to be other than four-year-olds at three or four). Yet, Captain has braced every storm that struck him and, off of a tremendous score in the Meadowlands Maturity from post 10, nothing says he can’t navigate his way through another. The other elim highlights the return of Sweet Lou, a champion as a freshman who has recently hit his best stride in the older division. Coming into the mile on a three-race win streak, expect him to be the overwhelming choice. Yet, that does not necessarily mean you shouldn’t bet against him. His main foe appears to be Allstar Legend, a five-year-old who has not yet faced Sweet Lou. He has speed that would fit the Pocono surface, especially if he can be given a patient drive. His speed is what killed him in his last outing at Poconon, battling to three-quarters in a :25.4 clip. Patience will be the key for Ron Burke’s other entrant.